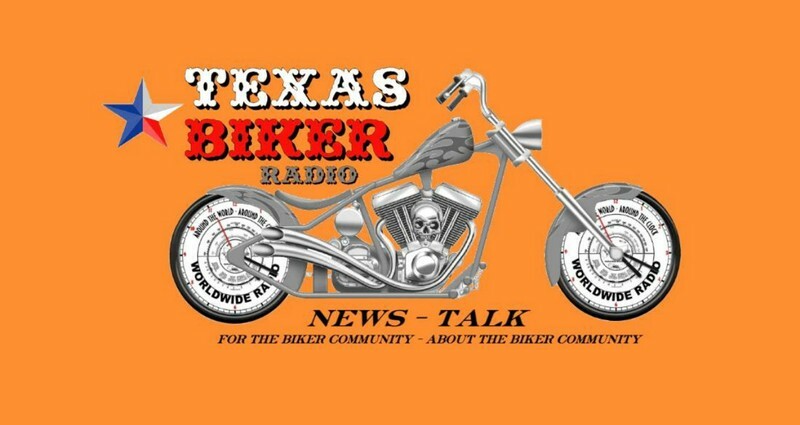 Texas Biker Radio - TBR News Comment - TBR News Summit - What Is Citizen Journalism? All these might be considered acts of journalism, even if they don’t go beyond simple observation at the scene of an important event. Because of the wide dispersion of so many excellent tools for capturing live events — from tiny digital cameras to videophones — the average citizen can now make news and distribute it globally, an act that was once the province of established journalists and media companies. There is some controversy over the term citizen journalism, because many professional journalists believe that only a trained journalist can understand the rigors and ethics involved in reporting the news. And conversely, there are many trained journalists who practice what might be considered citizen journalism by writing their own blogs or commentary online outside of the traditional journalism hierarchy. (See more on this in the Terminology section below). One of the main concepts behind citizen journalism is that mainstream media reporters and producers are not the exclusive center of knowledge on a subject — the audience knows more collectively than the reporter alone. Now, many of these Big Media outlets are trying to harness the knowledge of their audience either through comments at the end of stories they post online or by creating citizen journalist databases of contributors or sources for stories. You probably know the expression, “If you look in the dictionary for such-and-such definition, you should see a picture of so-and-so.” Well, if you look in the dictionary for the term citizen journalism, you should see a picture of Dan Gillmor, who’s pictured above. Gillmor wrote the first blog at a newspaper website, while he was a technology columnist at the San Jose Mercury News; wrote the seminal book, We the Media on the subject of grassroots media; and now runs the Center for Citizen Media, a joint project of the Graduate School of Journalism at UC Berkeley and Harvard’s Berkman Center for Internet & Society. In “We the Media,” Gillmor traces the roots of citizen journalism to the founding of the United States in the 18th century, when pamphleteers such as Thomas Paine and the anonymous authors of the Federalist Papers gained prominence by printing their own publications. Further advances such as the postal system — and its discount rates for newspapers — along with the telegraph and telephone helped people distribute news more widely. In the modern era, video footage of the assassination of President John F. Kennedy in the ’60s and footage of police beating Rodney King in Los Angeles in the ’80s were both captured by citizens on the scene. Plus, the rise of talk radio and even the D.I.Y. stylings of cable access TV and ‘zines gave average folks the chance to share their views with a much larger audience. In newspapers, there were letters to the editor and op-ed pieces submitted by citizens, while pirate radio stations hit the airwaves without the permission of the FCC. The advent of desktop publishing in the late ’80s allowed everyone to design and print out their own publications, but distribution was still limited. With the rise of the World Wide Web in the ’90s, anyone could set up a personal home page to share their thoughts with the world. Chris Anderson, a doctoral student at Columbia University, wrote a useful timeline for citizen journalism that includes the advent of personal websites as well as the launch of the Indymedia site in 1999 after the WTO protests in Seattle that year. At Indymedia, anyone can share photos, text and video with other activists and the world. Also in the ’90s, NYU journalism professor Jay Rosen helped spearhead the public journalism or civic journalism movement, focused on getting mainstream reporters to serve the public. But right as that movement started to fade, the citizen journalism meme caught on after the 9/11 terrorist attacks in the U.S.
At that time in 2001, the earliest weblogs were more focused on reacting to the news and were written and read by a tech-savvy audience. But after 9/11, many ordinary citizens became on-the-spot witnesses to the attacks and their stories and images became a major part of the story. Popular libertarian political blogger Glenn Reynolds (pictured here), who writes Instapundit, rose to great influence in the charged atmosphere after 9/11. Other important milestones in the recent history of citizen journalism include eyewitness bloggers in Iraq such as Salam Pax giving stunningly detailed early accounts of the war. Plus, at the 2004 U.S. political conventions, bloggers were given press passes for the first time. Later, in 2005, the earliest photos on the scene of the London bombings on July 7 were taken by ordinary citizens with their cameraphones. Mainstream media sites run by the BBC and MSNBC accepted photos, video and text reports — a practice that continues to this day among many major broadcasters. Citizen journalists and bloggers also helped in the worldwide reaction and relief efforts to the tsunami and flooding in Southeast Asia in late 2004 and to damage wrought by hurricanes Katrina and Rita in the U.S. in 2005. Eventually, it wasn’t just Average Joe citizens running blogs and independent media sites online. Big-time entrepreneur billionaire Mark Cuban ran his own blog to share his viewpoints directly to the public, and celebrities helped put the group blog Huffington Post on the map — leading to a similar effort in the UK by the Guardian, Comment Is Free. The terms citizen journalism and citizen journalist are not popular among traditional journalists or even the people who are doing citizen journalism at the ground level because they are imprecise definitions. 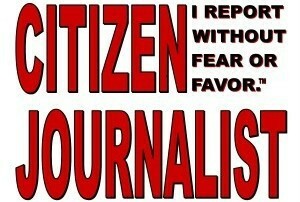 Aren’t professional journalists citizens as well? What if you’re an illegal alien and not really a citizen — does that invalidate your work?